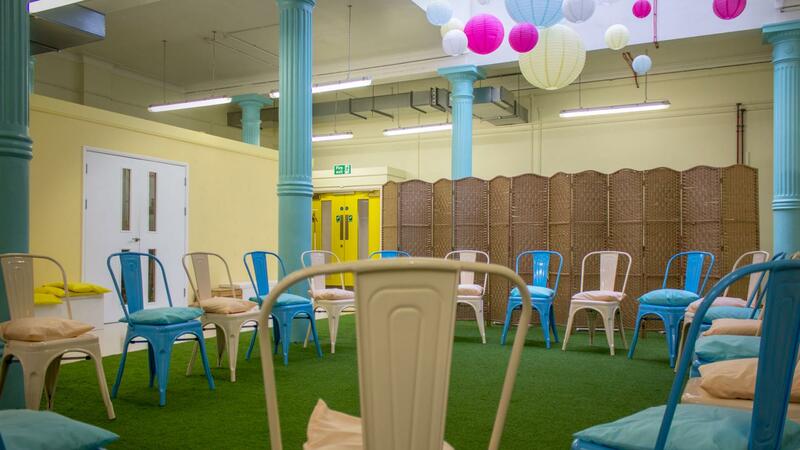 Haptivate Hub is a calming oasis where you can enjoy a fun away day, team-building workshops and a picnic lunch - rain or shine - in our indoor garden. 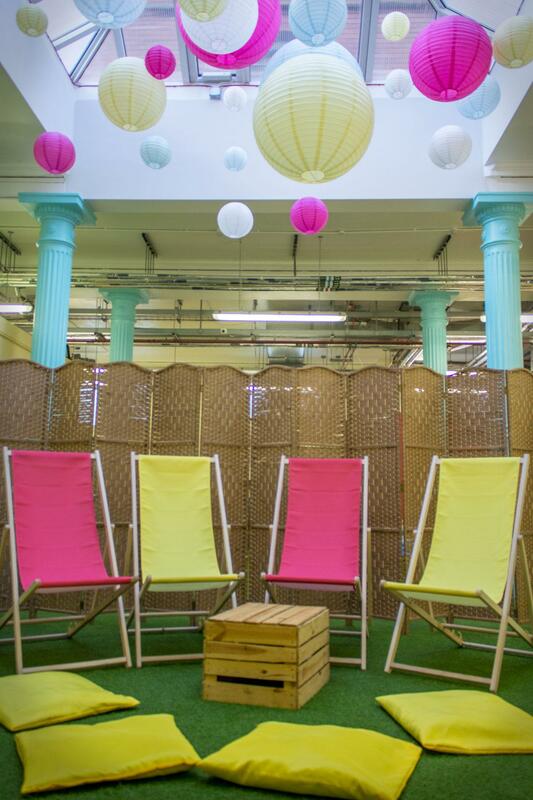 The space is designed to transport you from your day-to-day and provide an environment where teams feel able to relax, have fun and connect with each other in a new way. 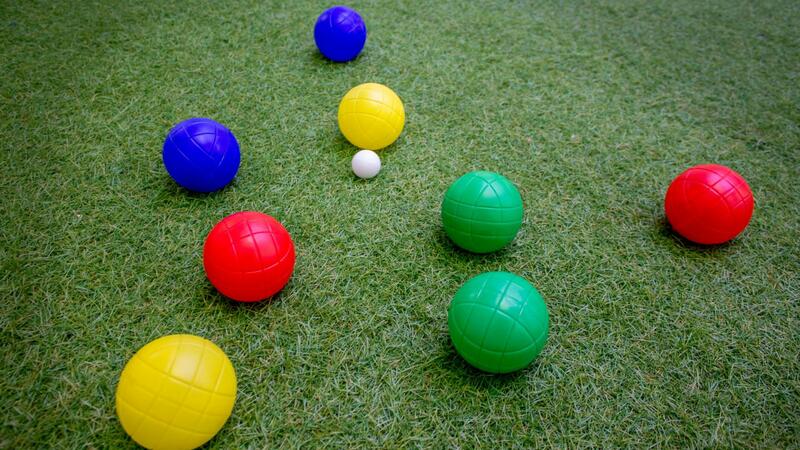 Spread out on a huge AstroTurf lawn with colourful lanterns floating overhead with a large pyramid skylight shining natural light. 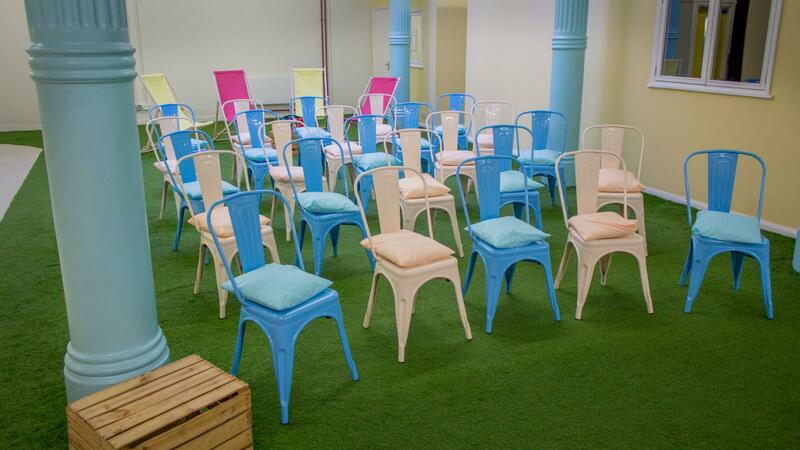 The venue features an adjacent meeting room that can be used as a boardroom, breakout space or brainstorming den. If you're looking for an off-site, meeting or retreat to remember, this could be the perfect space for you! Team-building and happiness skills training workshops are available on request. The venue is equipped with a kitchen with a fridge, microwave, hot water, cutlery, crockery and glasses. Catered picnic and buffet lunches can be provided on request. Vegetarian, vegan, halal and dairy-free options are available. No children under the age of 16 are permitted on site. 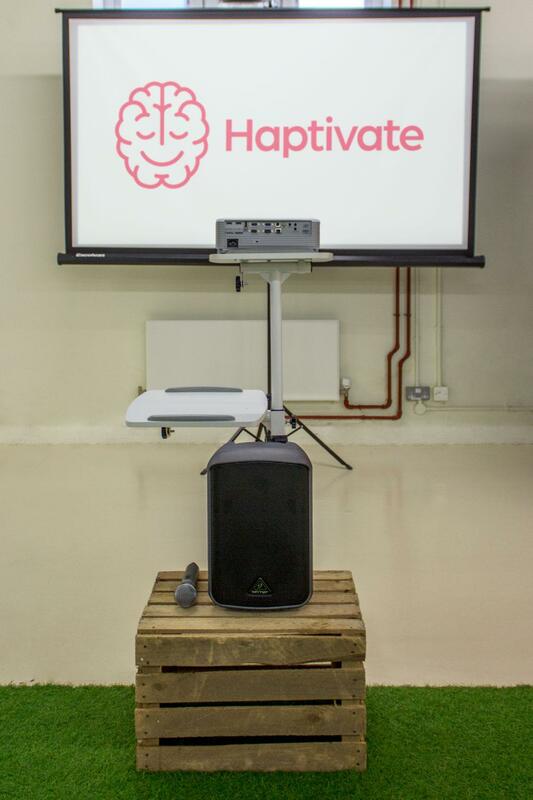 Haptivate Hub is a unique, fun and quirky retreat space situated in the heart of Camden Town. 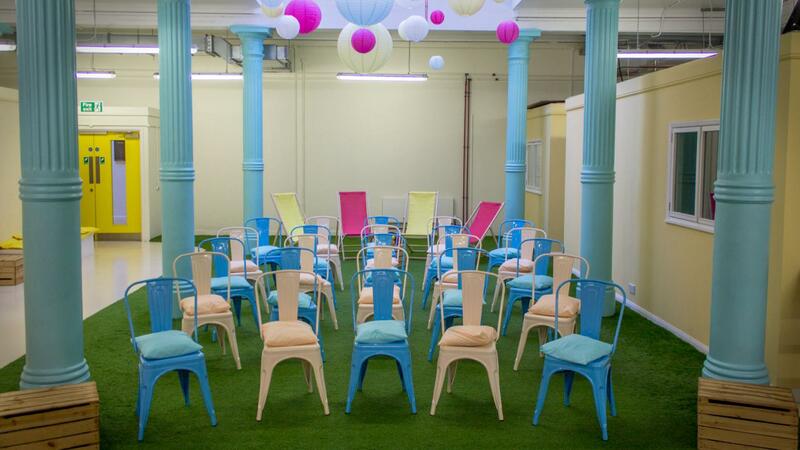 Conveniently located 2 minutes walk from Camden Town Tube and the world-famous Camden market, our space is perfect for away days, meetings, team-building, off-sites and team parties. 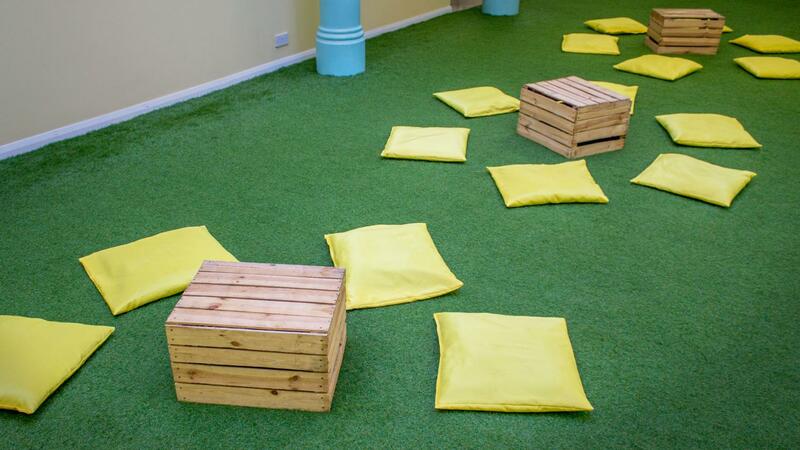 Natural light shining down from above combined with an AstroTurf lawn creates a relaxed outdoor feel in a warm and inviting indoor space. 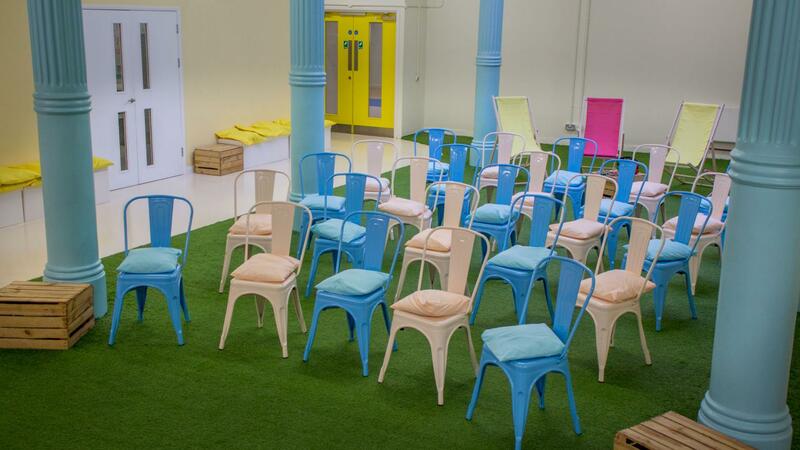 Choose this venue to give your team a break from their day-to-day and the chance to work, learn and connect in a completely new way.